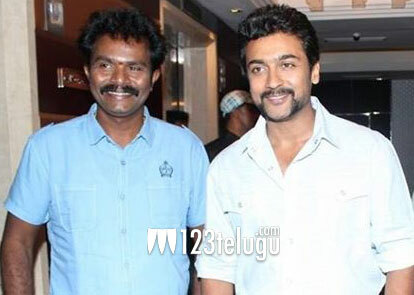 Suriya is all smiles, thanks to the huge opening which his latest film Singham has taken at box-office right from day one. The film has been directed by Hari and it also stars Anushka, Hansika, Mukesh Rishi, Rahman and Danny in important roles. Talking about the film, Suriya said, “Behind all my hard work, it was Hari’s vision and conviction that drove all of us to put in our best. It’s not an easy thing for a director and his team to decide what’s best for a film and reach out to all sections of the audience. That’s the reason why I say that Hari deserves all the credit for the film’s success. I desperately needed this hit after the lackluster performance of my last two films and a film like Singham came at the right time for me. I’m grateful to the people of Andhra Pradesh who have accepted me with open arms and supported our film. Interestingly, this is the first time my mother and Jyothika appreciated my performance. That has never happened before.” Suriya also revealed that he has plans to do a straight Telugu film and he’ll make an announcement soon. He’ll soon begin shooting for Gautham Menon’s Dhruva Natchathiram and an untitled Lingusamy’s project.